Richland Falls offers 1, 2 & 3 bedroom apartments. Please select a unit that you like, fill out your name, number, and email, and you will be redirected to our quick and convenient online application. Not seeing what you're looking for? Availability changes every day, if you tell us what your needs are we’ll call you when availability changes. All room dimensions are approximate and may vary by apartment. 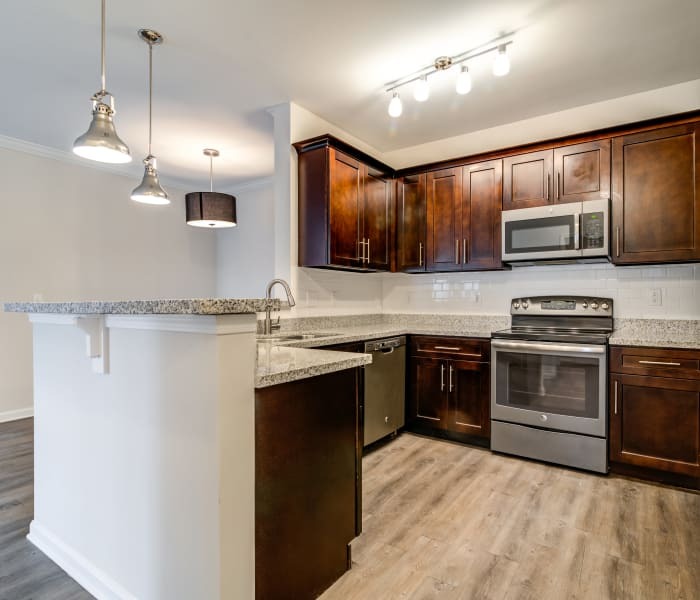 With eight floor plans to choose from, you are sure to find just the right home to suit your tastes at Richland Falls. Our 1, 2 & 3 bedroom apartments for rent in Murfreesboro, TN, feature spacious living areas with large windows. Floor plans range from 727 to 1,083 square feet for a roomy 1 bedroom 1 bath, to 1,398 square feet for a 3 bedroom 2 bath apartment. Each home features a fully equipped gourmet kitchen with all-black appliances including a handy dishwasher. The attached dining area is a wonderful place to enjoy a sit-down dinner – or, if you are feeling casual, pull up a seat at the breakfast bar. At Richland Falls, it’s the little touches that make all the difference. Stylish details like crown molding, brushed-nickel hardware, and all-black appliances enhance your space. Our floor plans were designed for easy living, with spacious open living areas and oversized closets. Double french doors and large windows make your home feel bright and welcoming. Select your perfect floor plan, and then get in touch to schedule your tour today. We’d love for you to experience Richland Falls in person.